Hello! As I was organizing all my pictures from Korea, I came up with idea of doing a bucket list. 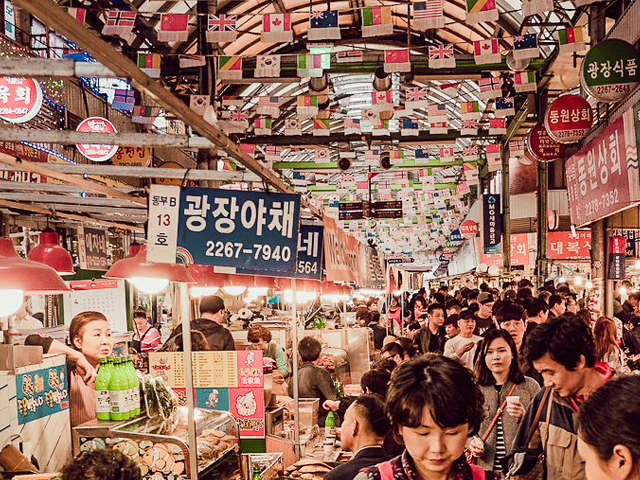 Korea is really a country FULL of things to do, but I narrowed it down to a couple of my personal favorites that I really think a tourist should do! 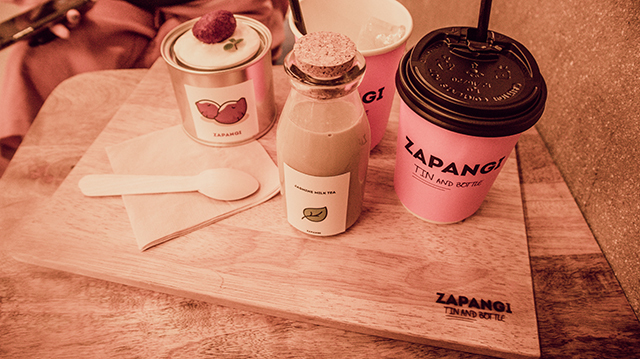 #1 – Visit a cute Cafe- The options are endless. It’s hard NOT to find a cafe in every corner and even harder to find one that isn’t cute. Koreans are all about staying at cafes and talking hours, and perhaps this is why the concept of cafes are so big. This iconic pink vending machine is a door for the cafe! You will definitely notice that there are lots of Instagram-worthy cafes and desserts. I visited Zapangi because it was one I’ve seen everywhere on Instagram and YouTube! PS. If you’re an animal person, welcome to the world of animal cafes as well, from goats, cats, dogs, raccoons, and more. A quick background of the Han River. If the Londoners have the Thames and the Parisians have Seine, Koreans have the Han River. One thing that has quickly made it to the “must-do” list among the locals and tourists alike, is eating ramen by the Han River. You might be thinking, what’s so special about eating ramen by a river? This is how you buy it from the convenient store and you take it to the machines! 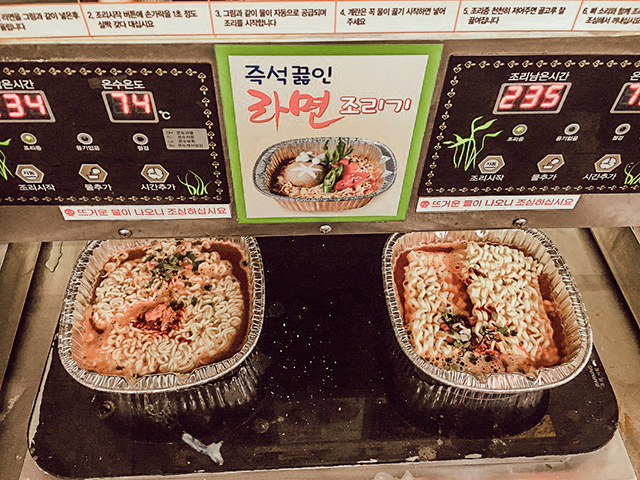 The machine automatically cooks the ramen for you in 3 minutes. Literally, genius. Seoul Sky, also known as the Lotte World Tower, is fairly new. This is also the world’s fifth tallest building, at 123 stories and 555 meters high. I went during the day, but I strongly recommend going right before the sunset, so you can enjoy the daytime view, the amazing sunset which I can only imagine, and the night view as well! Get out there and try something new! 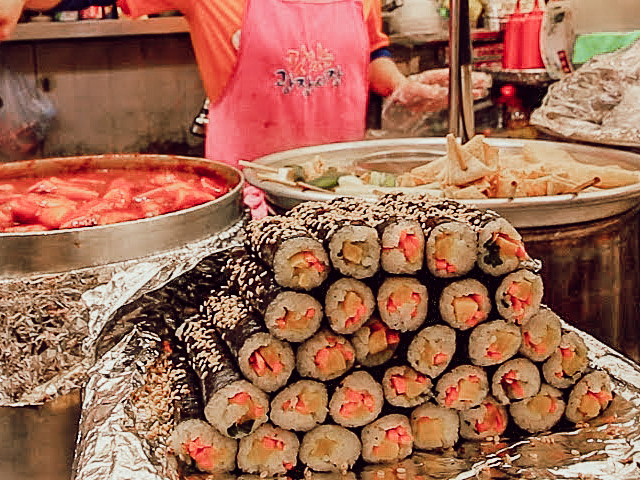 Korea has some amazing street food, and traditional markets are where you can find most, if not, all of them. 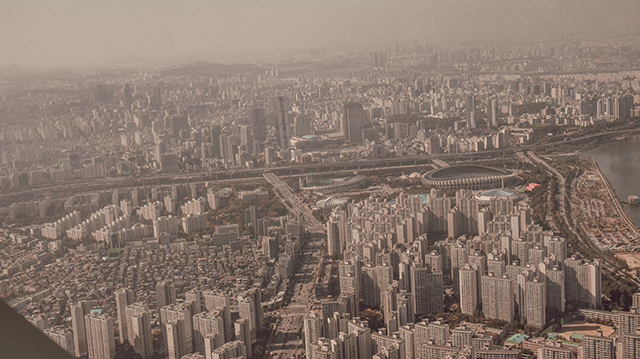 Each city most likely has one, but some of the biggest ones are Namdaemun and Gwangjang Market (both in Seoul). I can promise anyone reading this that Korea is the #1 when it comes to beauty. There’s a reason why the term k-beauty came into the picture. 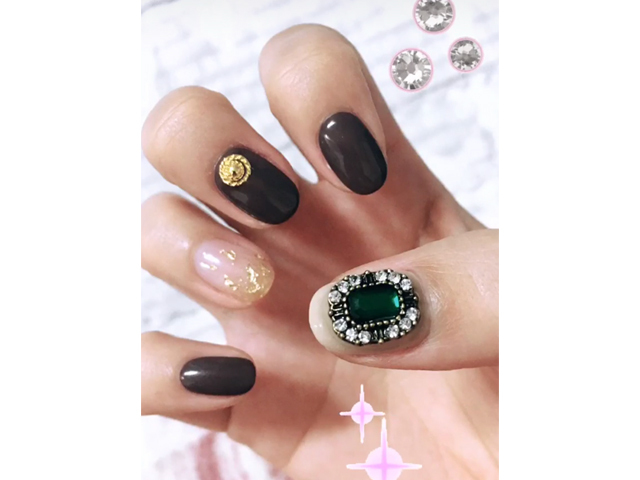 Among all the beauty that involves skincare, makeup, treatments and whatnot, nail art is also very popular among Korean women. I got a good 3 months out of these nails because they looked THAT good. I realize this every time I get a manicure or a pedicure during my visit (which I make it a priority no matter what), but it is totally worth the money. Not only are your cuticles going to be flawless, but you will explore a whole different world when it comes to colors and designs that these artists can do on your nail. 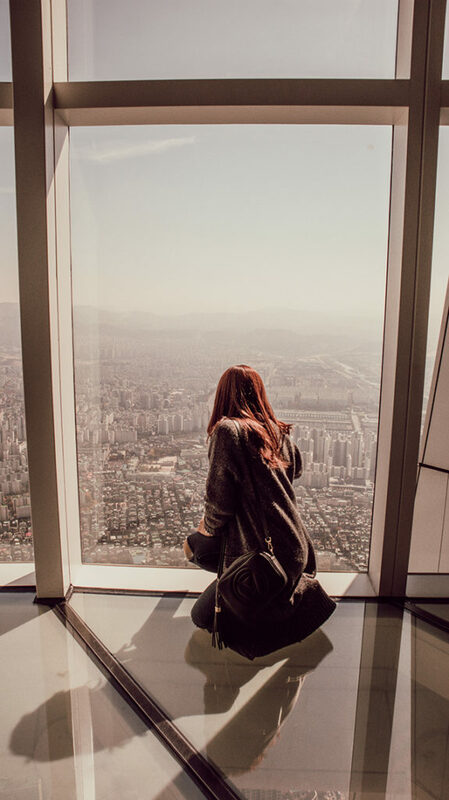 There are the more known tourist bucket list items, like visiting the N Seoul Tower, shopping in Myeong-dong, and celebrity-gazing. However, I tried to choose five that I would really recommend tourists do- I hope you enjoyed this post! If you’re visiting soon, I want to hear all about your trip. You can find me on Instagram.